I caught this last night. I think it’s a Windham tradition taking jabs at Strom Thurmond. The clip is from the PBS documentary ‘News War’. I’ve been watching the series and I think it’s really good. 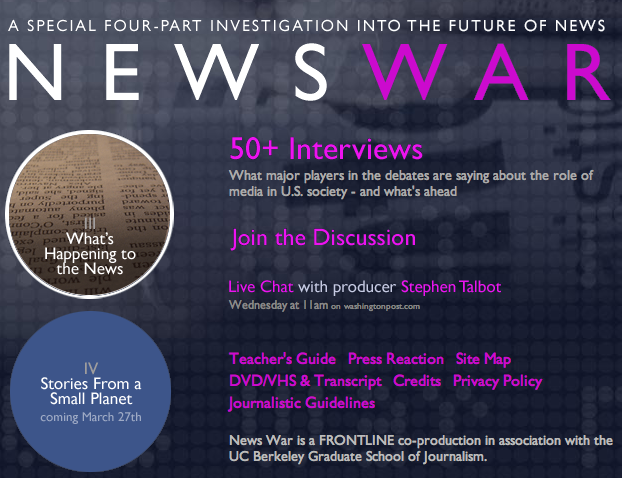 Producer and co-writer Stephen Talbot will be online Wednesday, Feb. 28, at 11 a.m.(Washington Post chat) ET to discuss the third part of the PBS Frontline series “News War: What’s Happening to the News.” The film looks at how blogging, citizen journalism and other Internet developments are both enhancing and undercutting traditional journalism, and at the economic underpinning of and pressures on the media. Speaking of news war… I’ve been dabbling with some regional web results from publishers and I noticed one little quirk in the rankings from Alexa. 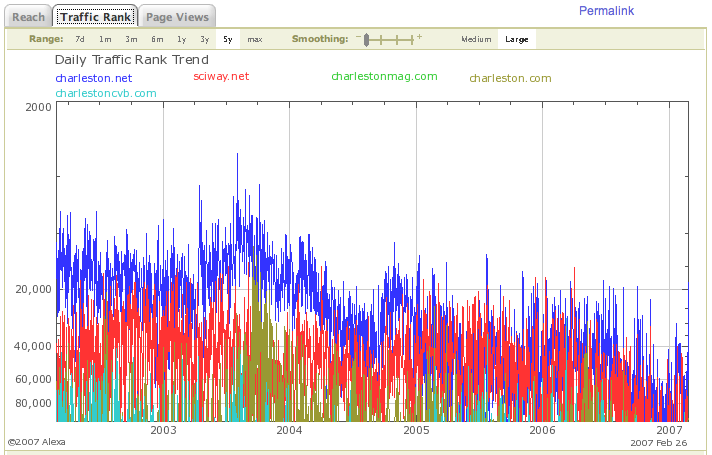 It’s interesting how from about 2004 onward, the big media publisher in my town is losing ground to smaller outfits online. 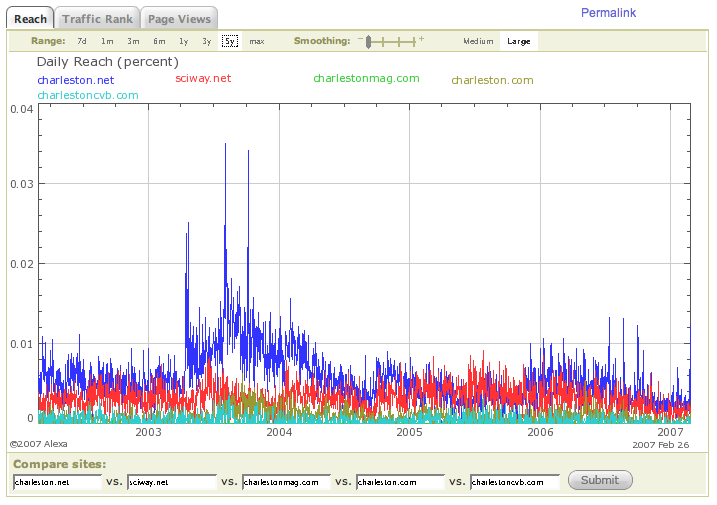 From what Alexa is reporting, it looks like SCIway.net is doing as many visitors as the newspaper on a given day.